How to save money in Vegas: free shows for everyone! Shopping in Las Vegas: of course! 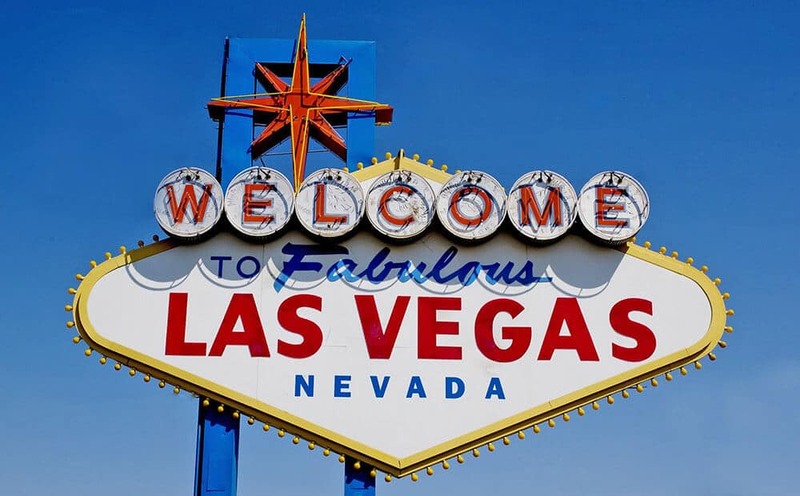 Are you planning a trip to “Sin City” and you are worried you’ll get bored to death? Believe me, you’re not alone! Yet after several trips to the largest city in Nevada I discovered there are many fun things to do in Las Vegas besides gamble. It took me a while to realize that you don’t necessarily have to love the green table to have fun. In fact there are good alternatives to casinos, also if you’re visiting with your family! My fascination with Las Vegas can be explained with the fact that there’s nothing quite like it in Italy. Heck, I live in Naples and we don’t even have a big luna park here, go figure! Yet Al is still wondering why I keep on going back. 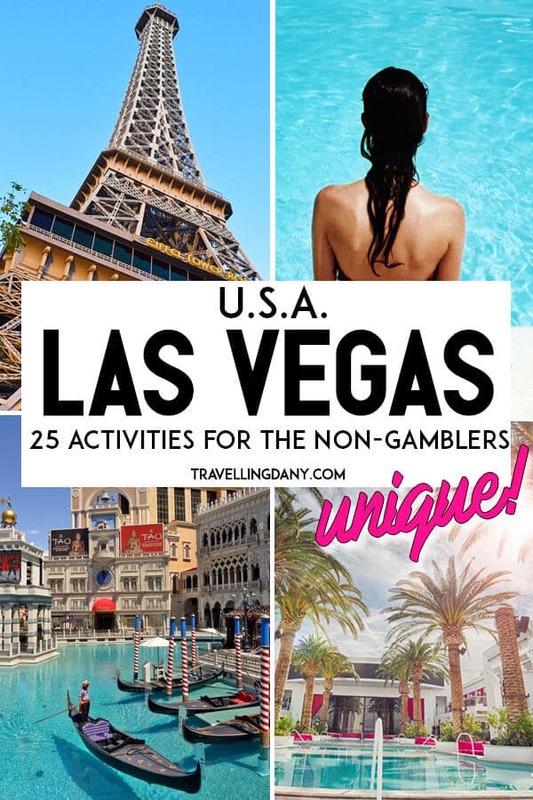 I managed to add Vegas to our honeymoon itinerary, we visited when we were on our way to the Grand Canyon, I celebrated my birthday in Sin City… and I’d still give it another go! To me Las Vegas is like an enormous luna park where there’s always something to do… mostly for free, which kind of surprised me! And I don’t even like to gamble, unless you count the 5$ that we spend in slot machines whenever we go. We’re from Naples, as I mentioned, so we are superstitious and going with the “you never know” school of thought! While you’re there, don’t forget that your hotel probably has amazing pools that you can go to during the day to tan and chill for a while. Those on the Las Vegas Strip (we have actually been to so many of the hotels there as we’ve visited often) are more or less all pretty awesome and if you are over 21 you will also be able to access the “adults only area“. Don’t be afraid, it has nothing to do with nsfw (not safe for work) stuff, it’s a pool area where they serve alcohol and where there are huge parties even during the day. It’s also a great way to get to know new people! I can definitely tell you that there’s absolutely no need to skip Vegas if you’re traveling with your kids or if you don’t like to gamble. 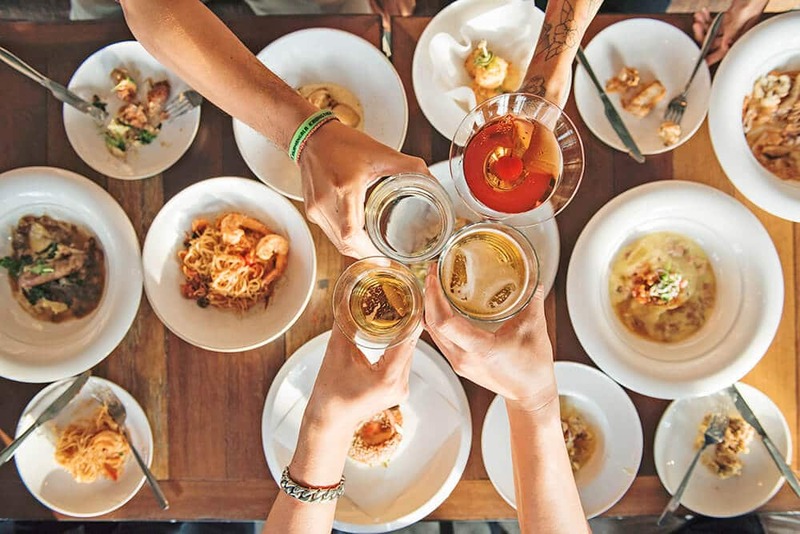 Think only of all the delicious buffets in Las Vegas you can try! Let me show you what I’ve learnt from our many trips to Sin City and how you can have lots of fun without breaking the bank (mostly)! First things first: do you really have to put up with the huge traffic on the Las Vegas Strip? Absolutely not! You can use the Las Vegas monorail, built in 2004, that connects the area where there once was Hotel Sahara with the MGM Grand Las Vegas. There are five more stations in the works and there might be also a connection with the McCarran airport in Las Vegas in the future, which would be amazing! The tickets cost 5$ (the train has air conditioning) per ride, so I find cheaper to buy the longer passes. You can buy 1-2-3-4 day passes starting at 13$ and they also offer mobile tickets so you can just buy them online using the wifi in your hotel. 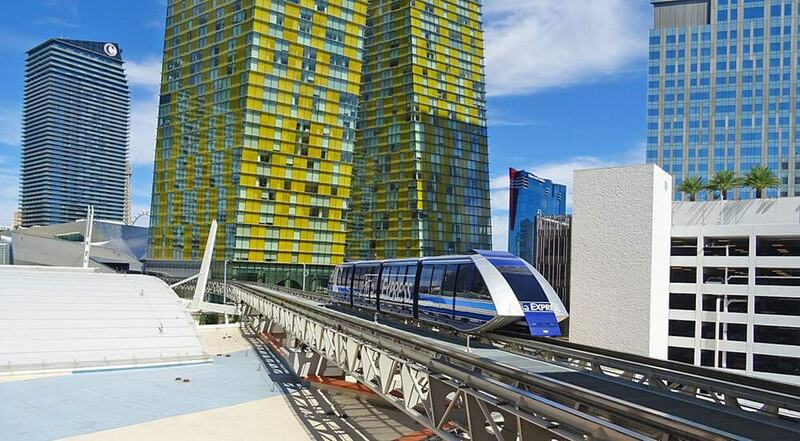 There are three more free monorails on the Las Vegas Strip that connect a few of the hotels, so you won’t have to walk outside, as it can be pretty hot especially if you’re planning to visit Las Vegas in summer. Mandalay Bay – Luxor – Excalibur tram: the whole trip takes about 7-8 minutes, but it can be pretty crowded especially during the busy holiday weekends in Vegas. It runs from Sunday to Wednesday (9 AM to 12:30 AM) and from Thursdays to Saturdays (9 AM to 2:30 AM). Park MGM/Monte Carlo – Aria – Bellagio tram: the whole trip takes anywhere between 5 and 8 minutes. The monorail is called the Aria Express, and also stops at the Crystals shopping mall, where you have to hop off the tram if you’re heading to the Cosmopolitan. It works every day of the week from 8 AM to 4 AM. Mirage – Treasure island tram: the trip takes less than five minutes, and both stops are relatively close to the casino entrances. At the moment it is undergoing maintenance and it’s scheduled to reopen in October 2018. There are rumors that it won’t reopen at all, but they’re still unconfirmed. If you are looking for things to do in Las Vegas other than gambling, and you don’t want to spend too much, let me suggest you a few of our favorite free shows on the Las Vegas Strip. Sure, we might not like to gamble, but casinos can still be a lot of fun! Just a little tip out of experience: the shows are very popular and can be crowded. So make sure you get there early, especially if you’re visiting Vegas with kids! The Volcano at the Mirage: Located outside the the Las Vegas Boulevard Main Entrance, the volcano offers free daily shows at 7:00 PM, 8:00 PM and 9:00 PM. It reproduces a volcano erupting (and because we live near Mount Vesuvius, we were curious to see it! ), with explosions, fireballs and a soundtrack by Mickey Hart (The Grateful Dead) and Zakir Hussain (Indian tabla). Beware: shows are subject to cancellation due to high winds. The Bellagio Fountains music and show: This is by far my favorite free show in Vegas. The first time we have attended a show at the Fountains of Bellagio they had “Time to say goodbye” (“Con te partirò”) featuring Andrea Bocelli and Sarah Brightman. I love my country and it was my first visit to the USA. Imagine how moving it was to see such a beautiful show, with a soundtrack by one of the most incredibly talented Italian singers! They actually rotate more than 30 songs, but my first show was Bocelli… That was it: we go to see the show whenever we’re in Vegas! The Fountains of Bellagio schedule is easy to remember. From Monday to Friday they have shows every 30 minutes from 3 PM to 8 PM and on Saturday and holidays they have them from noon to 8 PM. On Sundays from 11 AM to 3 PM. Yet every day from 8 PM to midnight there are shows every 15 minutes! Mystic Falls Park (Sunset Stampede): This vintage animatronics show takes place within Sam’s Town Hotel and Gambling hall and it’s Las Vegas’ version of a walk through the woods. Kids (and adults) love it because they will hear birds chirping, wolves howling, see mountain lions and bears. Then the show starts with the Sunset Stampede, a musical and laser show that tells the story of Western pioneers. Considered one of the best free shows in the Las Vegas Valley! It happens daily at 2:00 PM, 4:00 PM, 6:00 PM, 8:00 PM and 10:00 PM. The Las Vegas Swarovski Starburst: the unique hexagonal LED rooftop canopy designed for the Swarovski shop at the Grand Bazaar features an amazing light show set to custom-created themed soundtracks. It feels like New Years eve every day in Las Vegas! The light show happens every 15 minutes from Sunday to Thursday, from 8:05 PM to 10:05 PM, and on Fridays and Saturdays from 8:05 PM to 11:05 PM. Every night at 9 PM and at midnight there’s the “Swarovski Midnight Celebration“, with the starburst that soars above the Grand Bazaar Shop’s rooftop canopy. The show features music, lights and videos. Fall of Atlantis: this show happens at the Caesars Forum Shops, and it’s a cool animatronic display of fire, water and huge talking statues. The story is set (obviously) in the kingdom of Atlantis, when King Atlas has to decide which one of his kids will rule in his place. War happens, of course, but wait until the end of the show to see the ultimate lesson to be learned! If you’re visiting Las Vegas with kids, I suggest you get there in advance so you can let them be in the front: it’s going to be crowded and for them it could be difficult to understand what’s going on if they can’t see! The show plays every hour from 11 AM to 10 PM. While you’re there, you can also have a look at the huge aquarium nearby: there are more than 300 saltwater fishes! The fountains at Bellagio hotel is definitely our favorite free show in Vegas! We have seen quite a few of the Las Vegas shows (even if we haven’t seen (yet) all the amazing Cirque du Soleil shows, alas! ), and while some aren’t running anymore, I can definitely suggest a few that are worth the visit. Of course there will always be amazing concerts and music shows, so feel free to check those out as well! Cirque du Soleil “O”: People inside aren’t supposed to take pictures. I like to follow the rules and yet in this case it was crushing not to be able to take a picture of the beautifully colored costumes and scenes! We decided to splurge for my birthday and bought tickets for this amazing show, which is also the most expensive one of the Cirque du Soleil in Vegas. “O” has been in production since 1998 and they built a whole aquatic theater for it at the Bellagio. Some people are worried about not understanding English well enough to attend: don’t be! This show is absolutely amazing and it will leave you breathless. The story is easy to understand, well explained and never boring. It features artists from 19 different countries performing synchronized swimming, high diving, aerial acts and more: for us it was definitely worth the money! Tournament of Kings – Excalibur: If you’re looking for family shows in las Vegas, then by all means try the most famous dinner show in the city! Adapted from the tale of King Arthur, it takes place in a 900 seat theater and immerses the audience in a tale of valor and treachery. There are about 36 staff members and 22 horses working at this show, which is huge and very beautiful. While the knights fight, you will be served a three course meal… that you will have to eat with your hands, just like the real knights did! Sunday Gospel Brunch – House of Blues Las Vegas: Are you in love with music, good food and iconic places like me? Then you absolutely have to attend the world famous Gospel Brunch at the House of Blues. Located inside the Mandalay Bay Resort & Casino, it’s the perfect mix of lots of things I love. Blues, gospel, Blues Brothers and great food. Once you get there you will be seated, and then guided to a tasty buffet featuring Southern-inspired dishes. You can eat also during the show, but you will be given plenty of time anyway. During the show you will surely be dancing and having fun, so much so that you’ll probably forget about the delicious signature chicken and waffles! And if you’re in the mood you might also end up on stage waving a napkin and dancing off the extra calories: it was an amazing experience and we’ll definitely do it again… and again! You can reserve your tickets online, and you will have to be there before 1 PM (when they open the doors), to make sure you’ll have plenty of time to eat your lunch! Note – A portion of the ticket sales is donated to the Music Forward Foundation, a non-profit organization dedicated to fostering unity and creating opportunity through music for youth in communities across the United States. Cirque du Soleil shows in Las Vegas: I’m a fan, so aside from “O”, if you have the chance there are other six shows that you can see, including the “themed” ones on the Beatles or Michael Jackson. If you are looking what to do in Vegas besides gamble (especially at night), make sure to check out a few of their permanent shows! The Las Vegas nightlife can be pretty crazy and crowded, but it’s always fun! 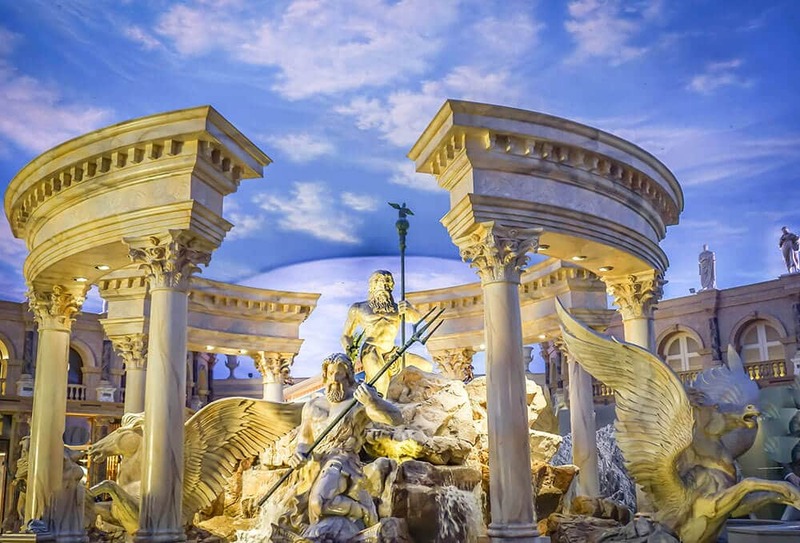 There are several free attractions that you can visit while in Vegas, also during the day! Yet to be honest I always make sure to spend some time by the pool when I’m in town. Not that I tan easily (I generally just get sunburnt and then return to my usual fair complexion), but I love the energy, and if you go early in the morning you won’t find the pools too crowded! Some of the free attractions I’m listing here are meant for kids. But because we had never seen anything like this in Italy, we still visited anyway. Some weren’t worth the time, but some others were fun even if you’re a grown up. Let’s see which ones! The Aquarium at the Silverton Hotel: it features 160 species of fish from around the world, which means about 4000 exotic fishes swimming into a huge fish tank. You will often find divers in the area willing to share facts about the aquarium (keeping it clean requires 32 hours per week, eck!) and kid friendly! The aquarium is open 24/7 so you can drop by whenever you want! Bellagio Conservatory and Botanical Gardens: after watching the amazing fountains show at the Bellagio, head inside to have a walk inside the beautiful Conservatory. There are 120 gardeners taking care of the plants and they change the setting also according to the big festivities like Christmas or Chinese New Year. During the seasonal exhibits more than 10.000 potted flowers are hand-watered and switched out every two weeks. On a personal note, I appreciated the fact that the wilted flowers are all reused and converted to mulch: over 90% of the conservatory is recycled! Bliss Dance statue and The Park: This six acre promenade is the perfect place if you are looking for a place to eat to that isn’t overly crowded and that has a completely different environment (aka: less crowded and gambling-oriented). We usually like to go there for lunch because they have so many tasty options, but if you go in the evening you can enjoy the beauty of the Bliss Dance. The statue, created by artist Marco Cochrane with over 3000 LED lights, represents the feminine energy he experienced at the Burning Man Festival in the Black Rock Desert. It is the centerpiece of The Park, between the New York-New York and the Monte Carlo. Fremont Street experience: Every year 19 million people visit this attraction. The average Viva Vision light show, under a huge canopy of LED lamps lasts about 6 minutes. It is the largest screen in the world (the size of five football fields!) and includes cool songs from Queen, Bon Jovi, KISS and The Who. It runs every hour and every night there is live entertainment scheduled for each of the three concert stages. The feel is like walking into an older version of Las Vegas that meets Venice Beach at night: booze and half naked people are the norm here! We found it pretty crazy, and we suggest you to go early and not to let your kids unsupervised, in case you’re visiting with your family. It’s another one of the “must see in Vegas“. For us tho, once was enough! Some people carry the old saying “What happens in Vegas stays in Vegas” too far! The LinQ Promenade: This is one of the newest areas on the Las Vegas Strip, featuring a huge ferris wheel (keep reading for more info), lots of shops and also some awesome murals from famous street artists. You will find the Brooklyn Bowl, a music venue that can hold up to 2000 people with 32 bowling lanes, and we had amazing cupcakes too. Which aren’t free (too bad) but were the perfect night snack that kept us company while we were walking around doing some window shopping. M&M’s World and Hershey’s chocolates: stepping inside these two chocolate shops is like walking inside a luna park. You can check them out for free (they are both on the Las Vegas Strip) but I can guarantee that you will definitely buy something. Which means I’m cheating here by adding them to the list of free attractions in Las Vegas, but hey, maybe you’re more strong willed than me! At the M&M’s World you will be able to have a look at a M&M’s Toyota Camry race car and a bunch of NASCAR-themed products, and you can watch a short 3D movie “I left my M in Vegas“. At the Hershey’s shop there are several interactive experiences: touch screens, candy bar design, the history of Hershey’s and tests to discover your ideal chocolate combination. Las Vegas sign: I know, it’s touristy. So what? If it’s your first time in Las Vegas or if you’ve visited already but never taken a picture, you absolutely have to go! People have been visiting the sign since when it was placed in 1959, but they only implemented a parking lot in 2008. Before that you had to dodge the incoming cars to take a picture and that was pretty dangerous! We didn’t much like the pushy Elvis impersonators roaming the area, asking you for money to take a picture with them, but you can easily dodge them and take your own picture! The Las Vegas sign address is 5200 S Las Vegas Blvd, Las Vegas, NV. Full disclosure: there are other free attractions in Las Vegas that involve animals. I don’t support circuses or animal exploitation so I decided not to visit and not to write about them. 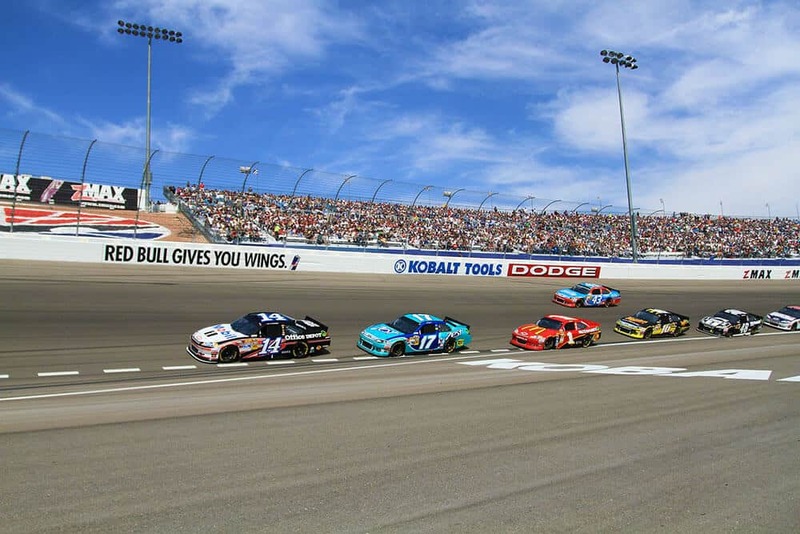 The NASCAR racing at the Las Vegas Motor Speedway is sure to give you an adrenaline rush! The National Atomic Testing Museum: We visited this museum one day when the pools in our hotel were overcrowded and it was definitely too hot to be outside (summer can be pretty warm in Las Vegas!). To be honest we weren’t expecting much, for some weird reason, but me and Al are always interested in visiting the lesser known areas and attractions… we were the only visitors of this museum when we visited, can you believe this? The National Atomic Testing Museum documents the history of nuclear testing at the Nevada Test Site, in the desert North of Las Vegas. There’s also a UFO section with news articles, sightings reports and interactive boots (ex. a mirror where you can see yourself from an alien’s point of view) that are interesting both for kids and adults. To get a true feel of an atomic bombing, you can sit in the Ground Zero Theatre that looks like a bunker and watch a 10 minute 3D movie that will make you feel bursts of air and vibrations, replicating what happens when an atomic bomb explodes. It’s pretty intense! High Roller: We visited the High Roller as soon as it opened, they were about to close for the night, so we didn’t really find a long line or anything. This experience is a bit like the Coca Cola London Eye, but while in London you have to make sure you visit when the weather is good and the sky is clear, you won’t have this kind of problem in Vegas. If you hop on this huge ferris wheel at night you will enjoy an amazing view of the city lights, with the big hotels, the Las Vegas Strip seen from above (it’s the tallest ferris wheel in the world), and a nice informative video about how it was built and all of their records. Back then we were staying at the Flamingo, and we just had to walk out of our hotel to basically walk on the LinQ promenade. There’s also a parking lot in the back if you’re driving your own car! The High Roller opening times are from Monday to Sunday from 10 AM to 11 PM (on Friday and Saturday they stay open until midnight!). Las Vegas Motor Speedway: We are huge motorheads. Like… huge ones. And then again there’s no NASCAR in Italy, so we love to visit the American speedways. After visiting the Daytona International Speedway (Florida) and the Mazda Raceway in Laguna Seca (California) we were like “heck yeah!” at the idea we could visit yet another one in Las Vegas. This speedway is located about 15 miles northeast of the Las Vegas Strip and is sadly famous because there was a huge accident in 2011. During the final race of the IZOD IndyCar World Championship in 2011 in fact there was a crash that involved 15 cars. Some were destroyed, others burst into flames: the 15 drivers were seriously injured, and one died. Since then, IndyCar decided never to return to the Las Vegas Motor Speedway. You can visit this NASCAR speedway when there are races, buying your tickets online and well in advance, and book a track tour for 8$ from Monday to Saturday from 9 AM to 4 PM, and on Sunday from 12 PM to 3 PM. A shuttle bus will let you cruise along the NASCAR speedway and will show you the behind the scenes. There are also companies that will let you feel the NASCAR vibes from a race car, or that will let you drive one! You will find all the relevant info on the official Las Vegas Motor Speedway website! Go-Kart racing: I already admitted we are motorheads, right? So don’t be surprised that we also decided to try some fun go-kart racing (Al won, by the way, but I can still beat him with my eyes closed at World of Warcraft, girl power!)! We tried both the Pole Position Raceway and the Gene Woods Racing experience. The Pole Position Raceway is indoors and it was very clean and safe. Before they hand you a kart they will show you a brief informative video and explain the basics, so you won’t hurt yourself or someone else while learning how to drive on a race track. To be honest when you don’t know the track you always drive slow for 1-2 laps, but then the adrenaline kicks in and.. it’s so much fun! The Gene Woods Racing experience is an outdoor race track and you get to have 1 practice lap, before to actually wait for the green light… to start racing against everyone else! It’s an adrenaline rush, because you can feel the wind on your face (pretty hot too if you’re racing in summer) and a highly recommended experience if you love fast cars and fun attractions! Coca cola shop experience: You can’t miss the huge Coca Cola bottle on the Las Vegas Strip, not too far away from the M&M’s shop. The entrance to the store is free and you will find tons of Coca Cola gadgets. But we liked to “explore the world with Coca Cola“: on the second floor you can buy 2 trays with 10 cups each. They are coca cola products sold around the world and the whole experience costs $10 (I think it’s great for up to 4 people, we were just 2 and it was even too much for us, but still fun!) and you can relax, enjoy the air conditioning and the view on the Las Vegas Strip. 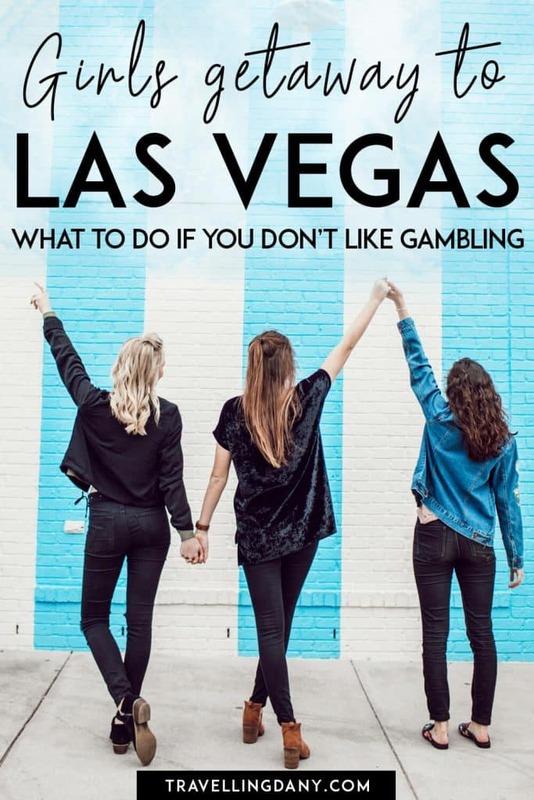 If you’re visiting with your family and wondering what to do in Vegas besides gamble (the legal age to gamble in Las Vegas is 21, by the way), then make sure to try this. It’s a fun family activity! Shopping in Las Vegas can be cheap and provides lots of fun! When I showed the picture of me surrounded by dozens of shopping bags in Las Vegas to a friend from the USA her first reaction was… “how did you even manage to bring all that stuff back home???“. Well, I tend to do a lot of shopping, not only in Milan! But Vegas has really interesting outlets and shopping malls. The prices, especially if you are visiting when there’s a huge sale, are amazing. So much so (some American brands are pretty expensive in Italy) that when we visit Vegas we always have basically… empty suitcases. We buy everything over there! 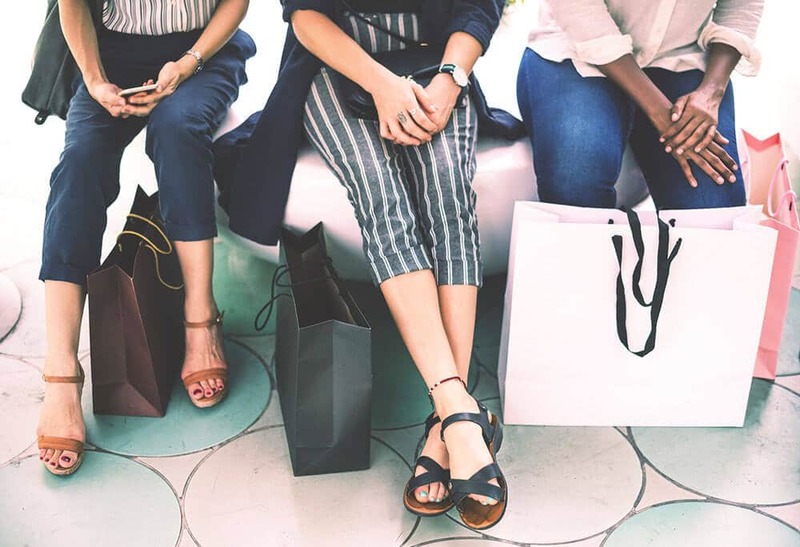 The Las Vegas outlets are an absolute must see if you have a car (you can also call a cab) and our favorite shopping venues, but there are quite a few malls that you can go to, both on the Strip and at a little distance. These are our favorite, but of course there are more! Las Vegas Premium Outlets: There are 2 big Outlets in Las Vegas – Las Vegas Premium Outlets North and Las Vegas Premium Outlets South. Since March 2018 parking near the two malls costs 5$ for the whole day, but then again I must confess we don’t mind spending the day, as we like to do window shopping, then we have lunch at the food court and return to the Las Vegas Strip only in the evening. It’s definitely a nice way to spend some time away from the huge casinos! Also if you register to their free VIP Club program (on their official website) you will get a nice stack of discounts and deals that you can use to save even more! Miracle Mile Shops: Located on the Las Vegas Strip, and you can just walk there from your hotel. It’s a nice place with a lot of shops indoors, so you can hide from the brutal Las Vegas heat. The mall is a bit “older” than the rest, but still pretty, with dancing fountains and plenty of bars. There’s also a pretty big food court where you can grab a quick lunch at a fair price, before to start exploring Las Vegas some more! Fashion show shopping mall: I have a confession to make. This is where I found the nicest Victoria’s Secret clerks ever, so I always love to go there, also because while Victoria’s Secret has finally opened a few stores in Italy (including one at the Capodichino airport in Naples), we still don’t have a lot of the products they sell in the USA! Aside from my favorite addiction, in this shopping mall, at the corner between Las Vegas Boulevard and Spring Mountain Road, you will find over 250 stores and something like 25 dining options. Live entertainment includes weekly runway shows with the hottest fashion brands that incorporate live music and dance. It’s free so… why not! Downtown Summerlin: One of the most recent shopping areas in Las Vegas, located between Sahara Avenue and the I-215. It’s an outdoor mall that in the evening has also a few romantic corners, to make sure you make peace with your significant other who might or might not have followed you around the whole day carrying your bags. Uhm… not speaking by experience of course. Absolutely not! At Downtown Summerlin you can walk around, just doing some window shopping, or watch a cool movie or grab a bite. Parking is free, which is a nice bonus! Find the best hotel deals in Las Vegas (Nevada) right now! Have you been to Las Vegas? 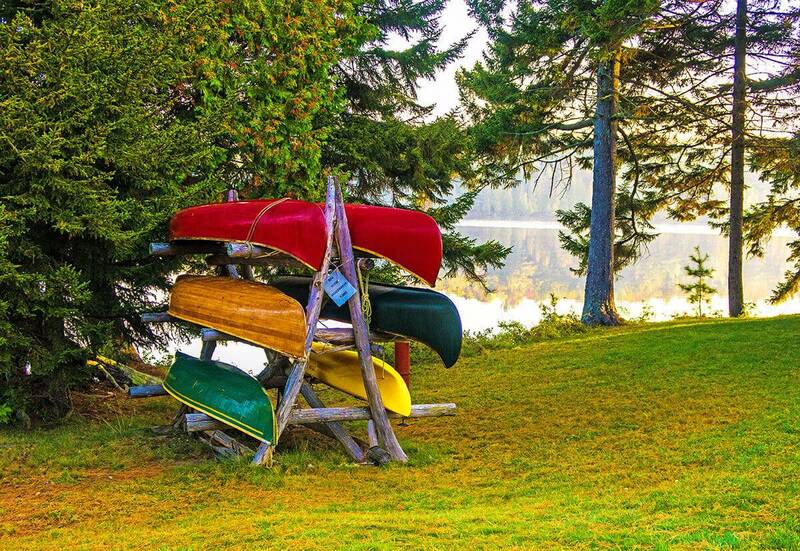 Tell us what are your favorite activities when you’re there in the comments! One of the famous places… heard a lot of times but never got chance to visit. I wish if you came to malta islands and share your experiences. I’m sure you’d love it, as Las Vegas has so much to offer! I’ve spent a lovely few days in Malta and it was amazing! Now that is a perfect post for us. 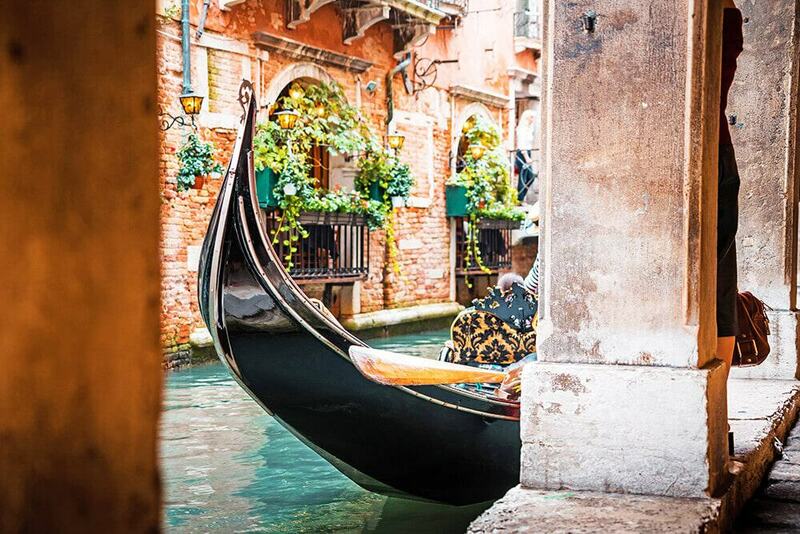 There is actually so much to do in Las Vegas beyond gambling. And I think the multiple day pass too is quite reasonable. The sculpture at Caesar palace is beautiful too. Thanks for writing this up. Do you mean a multiple pass for the Vegas Monorail? It can definitely be useful if you’re planning not to use your car at all! We really liked both, although I think the Mystical falls is the lesser known one so it deserves a visit as it’s also less crowded! Las Vegas has really re-invented itself to be more family friendly. We have to go to the Bellagio Conservatory eery visit. We also have said that we need to go to the art museum in the Bellagio, but haven’t been yet. The fountains also are fun to watch. We have watched them from the top of the Eiffel Tower, too, which was fun. Of course, our favorite free activity on the Strip is people-watching while walking the Strip. I still haven’t been to the art museum in the Bellagio either, let me know what you think if you manage to visit! Thanks for the Las Vegas tips. We have visited quite often and agree that there is so much to do outside of gambling. The Bellagio Fountains are one of my favourite shows. But I have missed seeing the Swarovski Starburst. The Cirque du Soleil shows are definitely a big attraction in Vegas. But hubby always has to visit M&M World! When we went one year the air show was on. That was a special treat. We also headed up to the mountains on that visit. Las Vegas is a vibrant and colourful place. And there is so much more to it beyond gambling. You have bust this popular myth in this post. 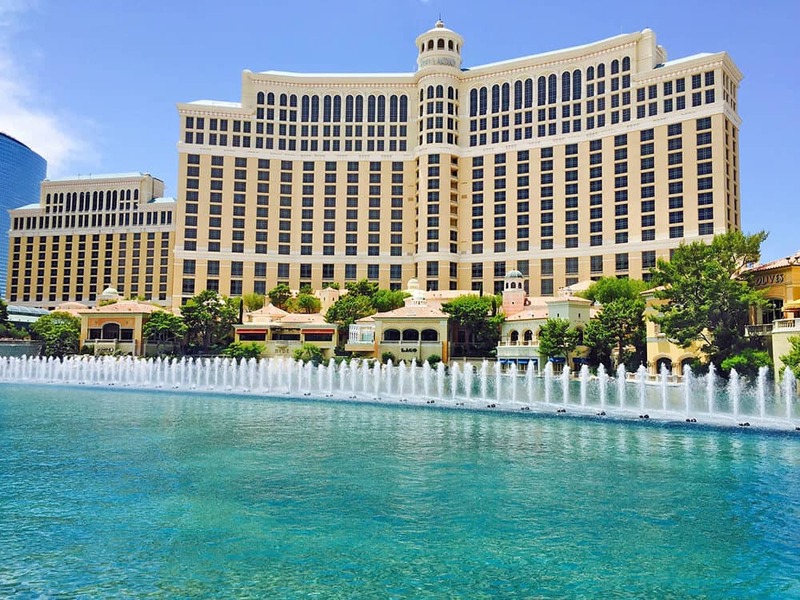 Our favourite spot too is the Bellagio fountains. We did a day trip to the Grand Canyon when we were there, apart from strolling around the place and admiring the art and architecture. Did you do the helicopter trip to the Grand Canyon? Which ones did you see? 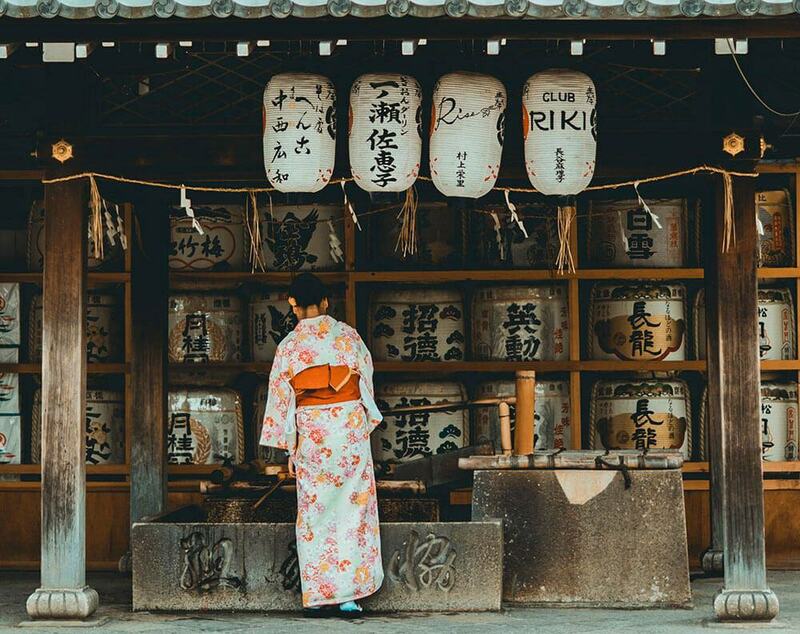 We’re so not decided about what we’ll see on our next trip! Haha are you planning to spending an “approved” and fixed amount of money gambling or just to go wild for a night? Las Vegas has never been on my travel list because I don’t like gambling or anything related to casinos. So your article was really enlightening! I knew about the paid shows, like Cirque du Soleil, but not about a lot of the other things! Oh there are a lot of free shows that are also very interesting! Yes, I am one of these people who roll their eyes at Las Vegas – it’s so not for me! And I wouldn’t make friends at the pool drinking since people would think I’m a party pooper. The main reason why I’m not at all into these things is the copying – you are from Italy, you don’t need a copy of the Fontana di Trevi, we don’t need a copy of the Eiffel Tower because we are going to Paris, we don’t need a copy of Nofretete because we have the real thing at a museum in Berlin – or we’ve been to Egypt to see it. I’m simply not the theme park kind of person; oh, and to be fair to the Americans: I hate the Tivoli in Copenhagen, too. 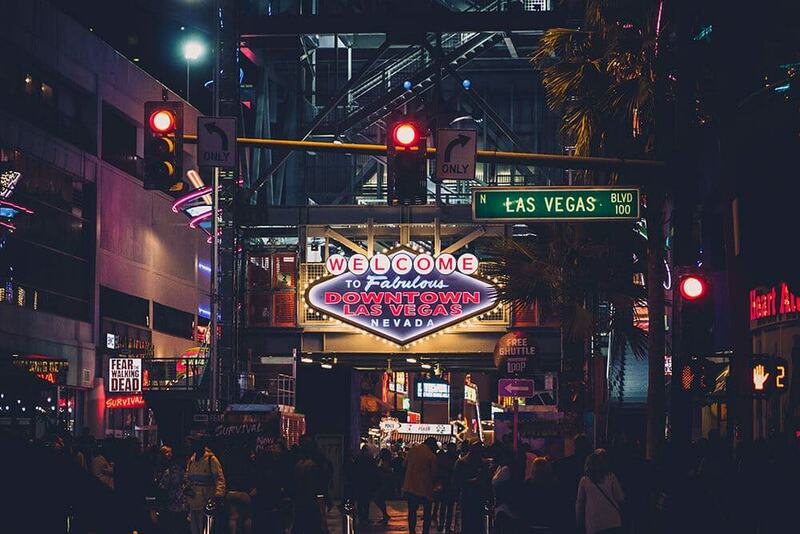 Vegas is very high on my list and you’re right there is so much more to do than to gamble, although the roulette tables and slot machines are probably where I’d spend most my time haha. 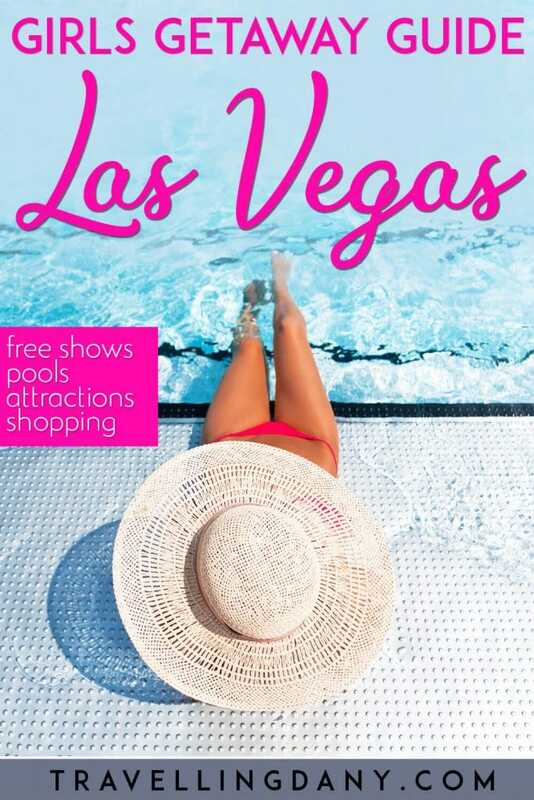 However great info on the trams and would love to see the water fountain show especially as it’s free 🙂 – And I can imagine you can spend hours just wondering the strip VIVA las Vegas!!!! Haha do you gamble with a budget in mind, usually? I went to college at UNLV and lived in Las Vegas for many years. These are all good on-Strip recommendations. Of course, there’s fantastic hiking at Valley of Fire and Red Rock Canyon. You can’t miss a trip out to see Hoover Dam. A hot air balloon flight is a fabulous way to get a birds eye view of the Strip. There’s also great water parks and so much more! They’re awesome, you’re right! But are they also accessible to people who don’t want to drive / don’t have a car? Also a hot air balloon flight, wow! I could never do it because I’m terrified of heights but I wish I’d seen the hot air balloons to take a few pictures! I didn’t know it was a thing! We drove there but is it also accessible to people who don’t want to drive or don’t feel like renting a car to go to Red Rock Canyon? I love visiting Vegas and never gamble. I wish I had this post a week ago. My sister was going for the first time and I tried to tell here all of this stuff. I missed a couple, like the Park MGM/Monte Carlo – Aria – Bellagio tram. She was staying at the MGM and I was talking up Bellagio. I love the gardens in Bellagio. Solid article and lots of great tips. Oh gosh that was a long walk, I hope it wasn’t too hot outside! I remember a very warm September when walking on the Strip during the day was a nightmare, the temperatures were much higher than what we are used to! I haven’t been to Las Vegas and neither to the US. I only know Vegas by watching movies and you know what kinda movies I am talking about. It is all about gambling and showing fancy hotels. It sounds so fun watching free shows. I don’t think you can get to watch shows free anywhere else. We actually quite enjoyed the atomic testing museum, it caught us by surprise and it’s definitely interesting both for kids and for adults! I absolutely love Vegas, thank you so much, I’ll save this for next September! Wow amazing! How long are you going to stay?